Want to impress your guests? 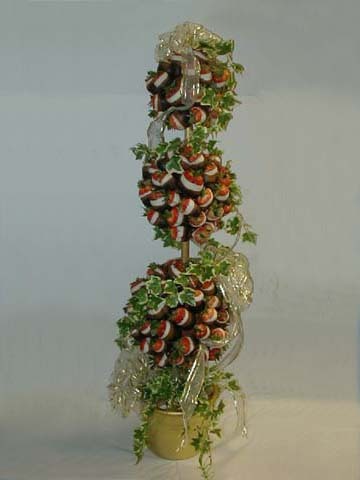 Have this beautiful triple dipped strawberry tree at your next party. Made with triple dipped whole strawberries, ivy and set in a beautiful covered pot. We can make these in various sizes, give us a call to discuss what size fits your needs. Single Ball Topiary Trees 5" with approx. 40 strawberries. 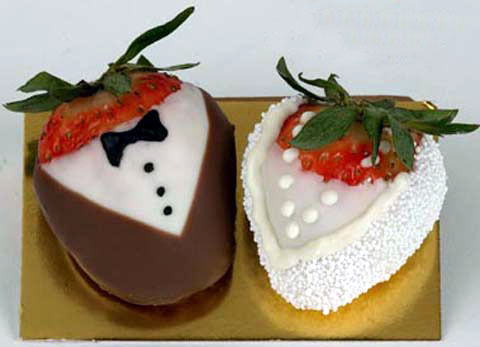 NOTE: The above price assume strawberries are reasonably priced at the time the topiary is made. Want to impress your guests? 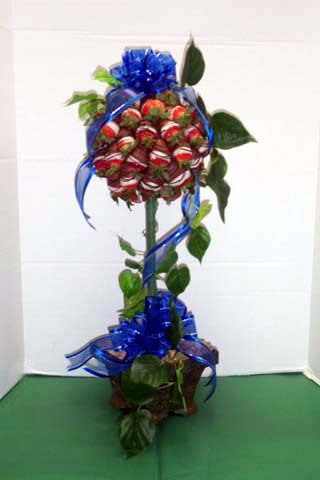 Have this beautiful triple dipped strawberry tree at your next party. Made with triple dipped whole strawberries, ivy and set in a beautiful covered pot. We can make these in various sizes, give us a call to discuss what size fits your needs. Single Ball Topiary Trees 6" with approx. 60 strawberries NOTE:The above prices assume strawberries are reasonably priced at the time the topiary is made. Want to impress your guests? Have this beautiful triple dipped strawberry tree at your next party. Made with triple dipped whole strawberries, ivy and set in a beautiful covered pot. We can make these in various sizes, give us a call to discuss what size fits your needs. Large tree feeds 65 - 80 people. 3 balls - 5" with approx. 40 strawberries, 6" with approx. 60 strawberries & 8" with approx. 80 strawberries. Note: The above prices assume strawberries are reasonably priced at the time the topiary is made.